This shot from the beach at Moss Landing. 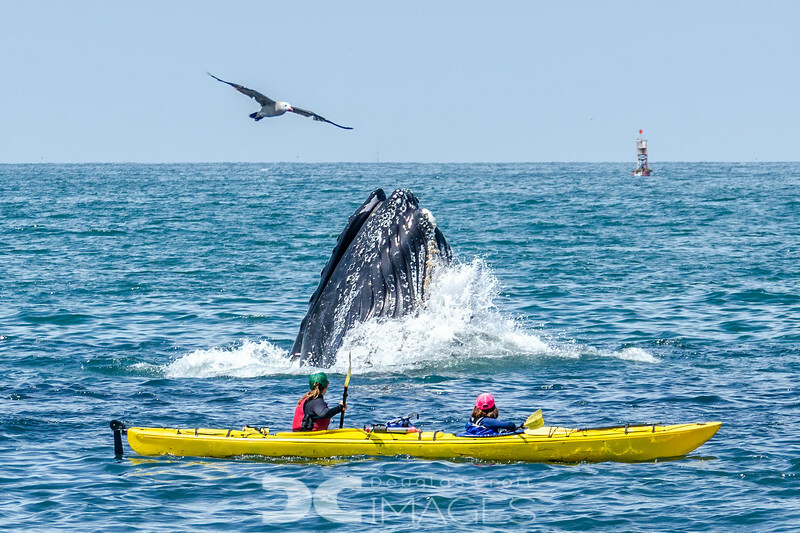 A humpback whale lunge feeding about 75 yards from shore delights kayakers. This was chosen as a winner in the National Ocean Service 2015 Photo Contest-Recreation.